This is important, and doesn’t seem to have got the interest it deserves. 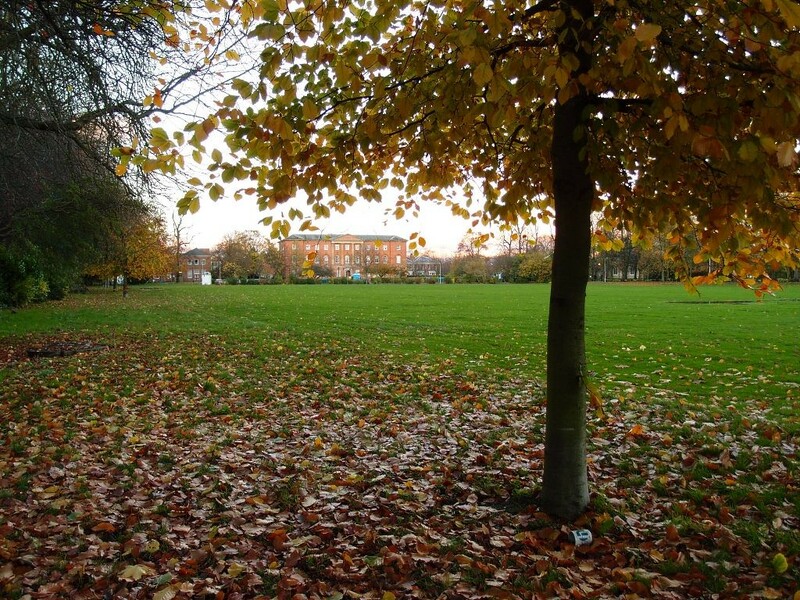 Following the closure of Bootham Park Hospital there’s a consultation on plans for a replacement facility. The deadline has been extended but it’s closing soon, 16 Jan.
There’s a question about the number of beds, but we’re focusing here on the other question, of location. It has one obvious answer: ‘Bootham Park’. Residents who need to access the hospital facilities and family and friends visiting them deserve a central and accessible location, not some place on the outskirts of town. Perhaps the existing building can’t be used, but there’s a large space next to it. The fact that the deadline has been extended from the original date of 16 December suggests that few people responded when it was first publicised. 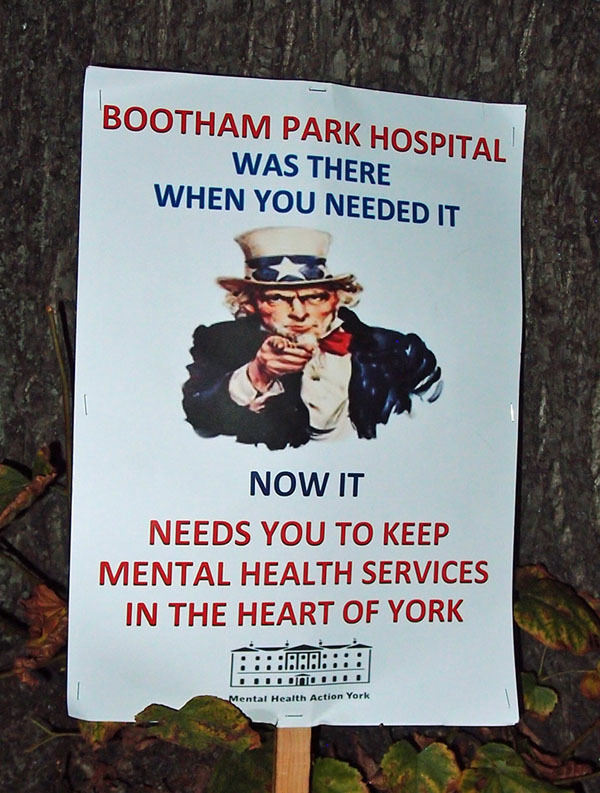 I must admit that I haven’t yet, feeling rather cynical about the whole thing after the way the closure of Bootham Park Hospital was handled. But then it’s not good if it looks like we don’t care, and it won’t take long to comment on the location question. The same document also states that “Over recent years more and more people are able to receive the care and treatment they need at home and hospital admission is becoming the exception rather than the norm.” But clearly a mental health hospital is still needed and it should be on the large piece of land where it’s been since the late 18th century, close to the city centre. If there is one phrase that is banded about when something that is not in the public interest occurs it is “we should embrace the change”. No we should not, we should demand that we have what has been taken away from us, that is, a functioning mental health facility in the city centre.